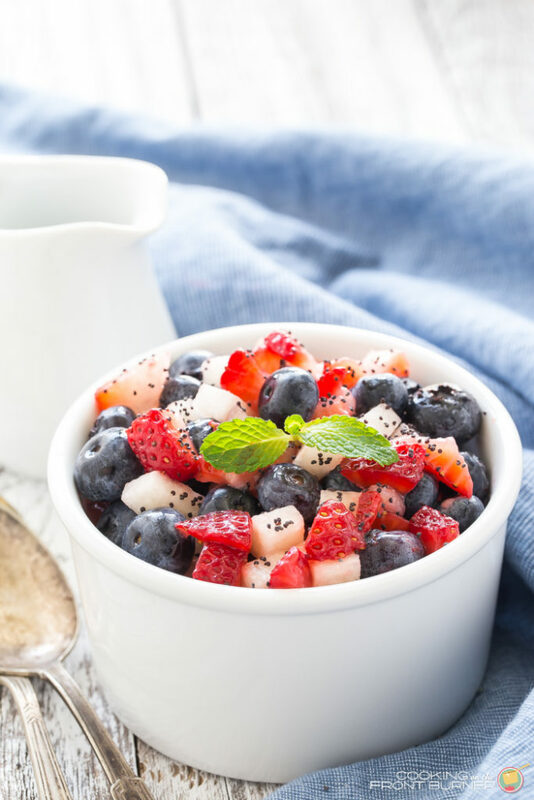 Let’s hear it for the red, white and blue with this fresh patriotic honey poppy seed salad! It’s worthy of any celebration! 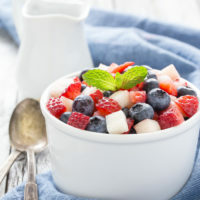 We are getting into the season of celebrations – Memorial Day, 4th of July and way down the road Labor Day (but hey, let’s not rush it). 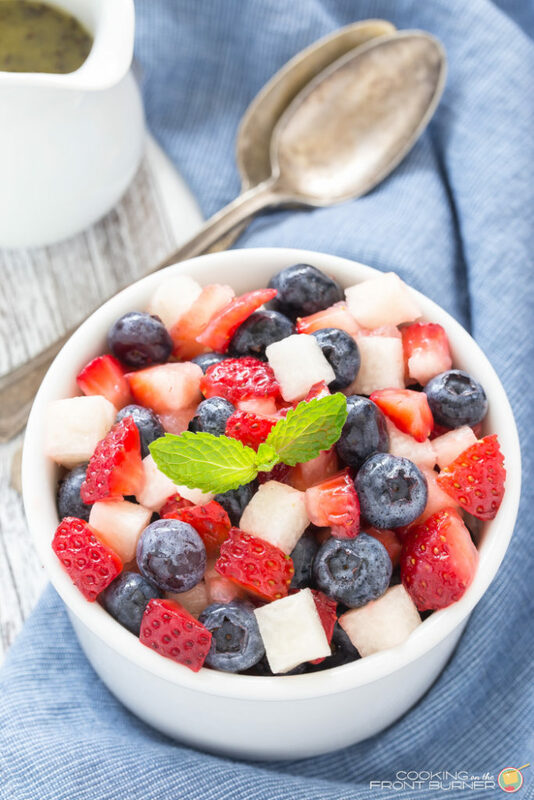 You can make a patriotic statement with this tasty salad containing lots of juicy strawberries, plump blueberries and crunchy jicama (what’s this? keep reading). Sounds good so far, right? But be sure to drizzle it with some of the honey poppy seed vinaigrette. 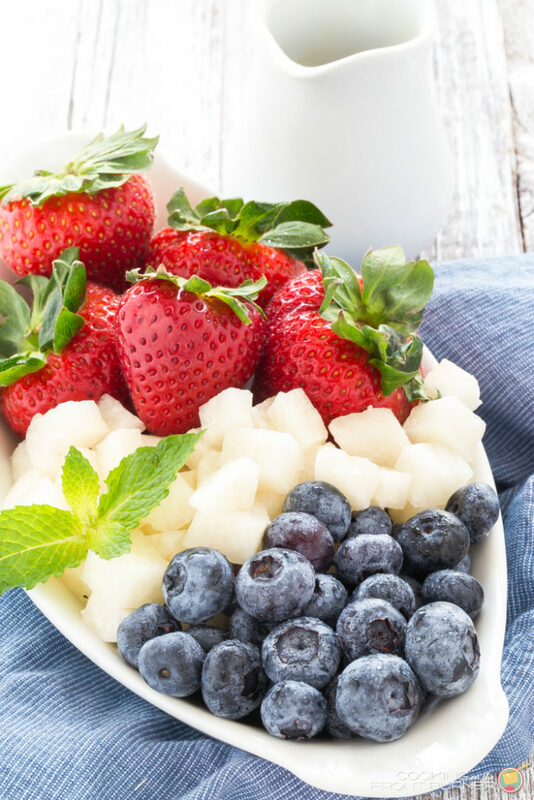 It’s a bit sweet and a bit tangy – perfect over these fresh ingredients. Have you ever heard of jicama? 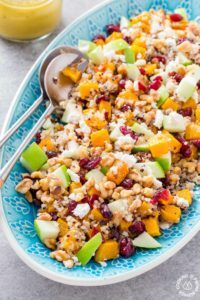 It’s a root vegetable and honestly doesn’t have much of a taste (it is slightly sweet) but what it lacks in flavor, it makes up for with crunch, being low in calories and high in fiber. A great addition to any salad where you might be looking for some texture. 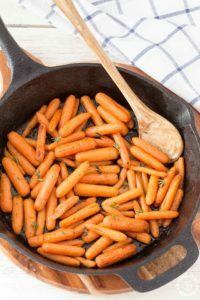 I often use jicama in a veggie tray for something a bit different. I used strawberries for the red part but feel free to substitute fresh raspberries. I think you might be stuck on the blueberries unless you find a blue fruit I don’t know about 🙂 I also scaled this recipe for just the DIY guy and myself but you could double or triple the ingredients and still have enough dressing. I have some leftover that I plan on adding to a green salad. 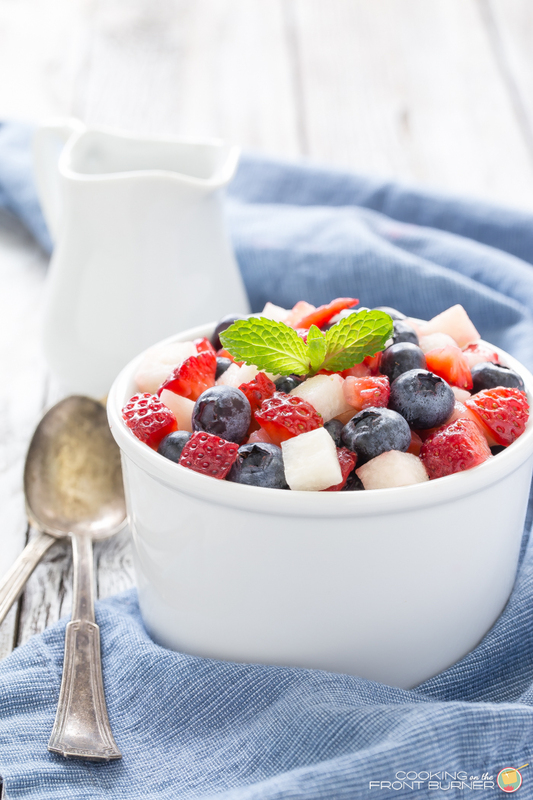 Do you have any traditions on Memorial Day? We always went on a picnic with my aunts, uncles and cousins. Everyone would bring something to share and a great time was had by all. Currently we don’t have a set tradition but we sure love getting together with our kids and grandkids. 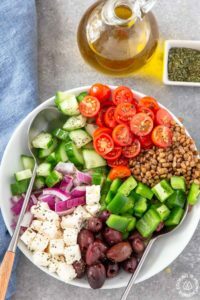 If you are looking for some other type picnic salads, be sure to check out this Greek Orzo Salad and Greek Panzanella Salad – both will hit the spot! 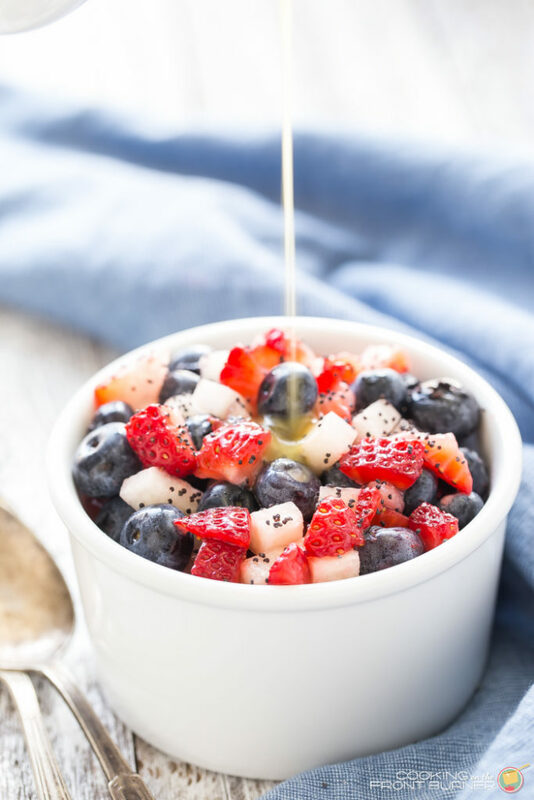 Let's hear it for the red, white and blue with this fresh salad drizzled with honey poppy seed dressing! It's worthy of any celebration! 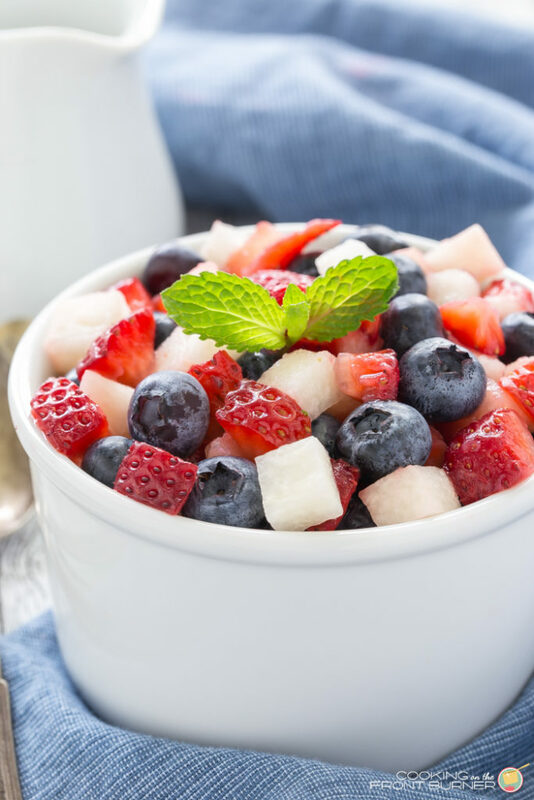 We love red, white and blue and this recipe is perfect for summer! 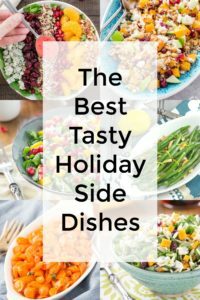 Pinning and sharing as our host pick this week on Funtastic Friday!